This weekend I went to the mall to buy my friend her birthday present (it's in February), but I ended up buying more for me than anything else. I just couldn't help myself. A few months ago on my old blog iamfelipa.tumblr.com, I posted a blog about the kind of mascara I like. Well my favorite go-to mascara is Dior Show by Dior. I sadly didn't like the Tom Ford volume mascara, it did nothing but give me clumpy eyelashes :(. A shame considering I forked over $50 for it :(. However on one of my trips to the Neiman Marcus makeup counter, I was given a sample of Yves Saint Laurent's Babydoll Mascara. OMG. I am in love with it! So of course I went to go buy it. I love the bristles on the brush/spoolie. It separates every single eyelash, I SWEAR. I tend to layer my mascara, so I do one, which is what I consider a "base coat" of Dior Show followed by two of the Babydoll. Want to buy it yourself? 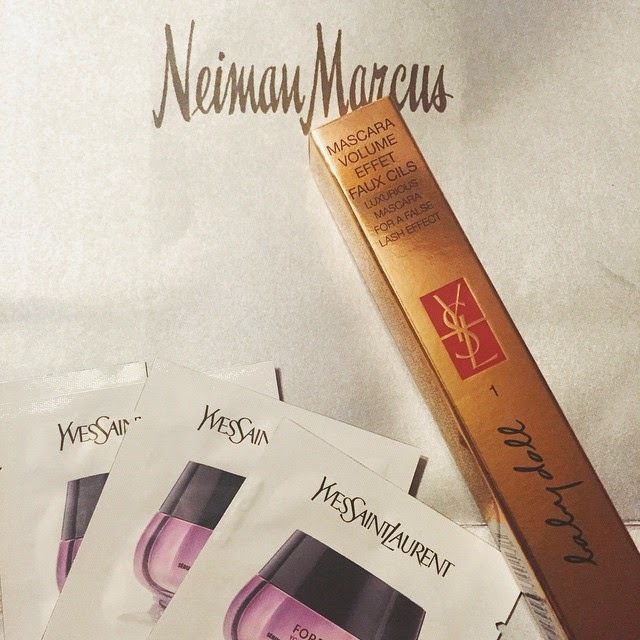 I suggest going to Neiman Marcus, they always have it in stock, trust me I know, I went to Sephora and they were out of stock at the two I went to. I have also mentioned I have a bit of an obsession with buying notebooks/journals. Well of course I went to Paper Source and got lost in all the pretty and shiny stuff they sell. 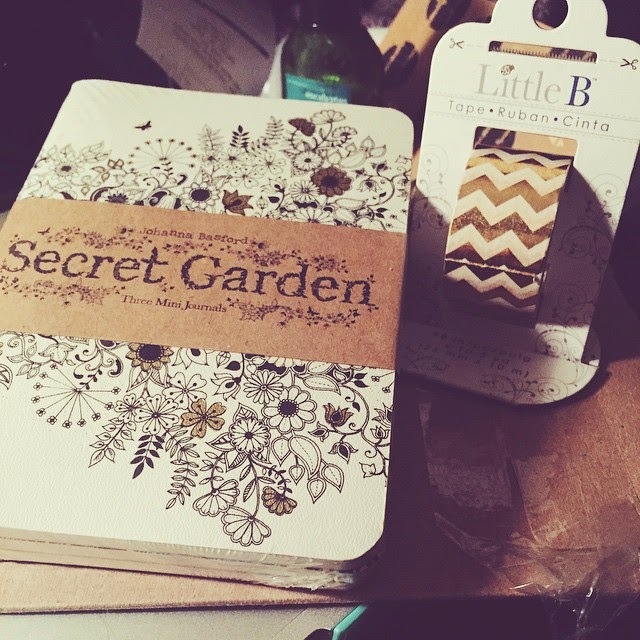 I ended up leaving with a new iPhone case (not pictured), washi tape, and a three-piece Secret Garden journal pack. 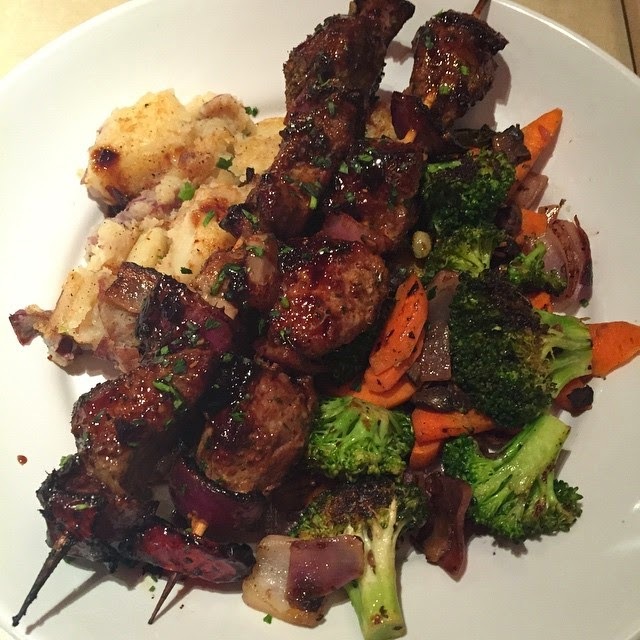 Lastly, I went for a late lunch date to Zöe's Kitchen and had my favorite, Steak Kabobs. Today has been fairly uneventful and just a lazy day all together. It's back to work tomorrow and wait for the weekend once again. P.S. : I'm going to start the Super Shred Diet. 4 meals 2 snacks this week! I wonder if I can actually finish any of the meals. I'm excited for summer!